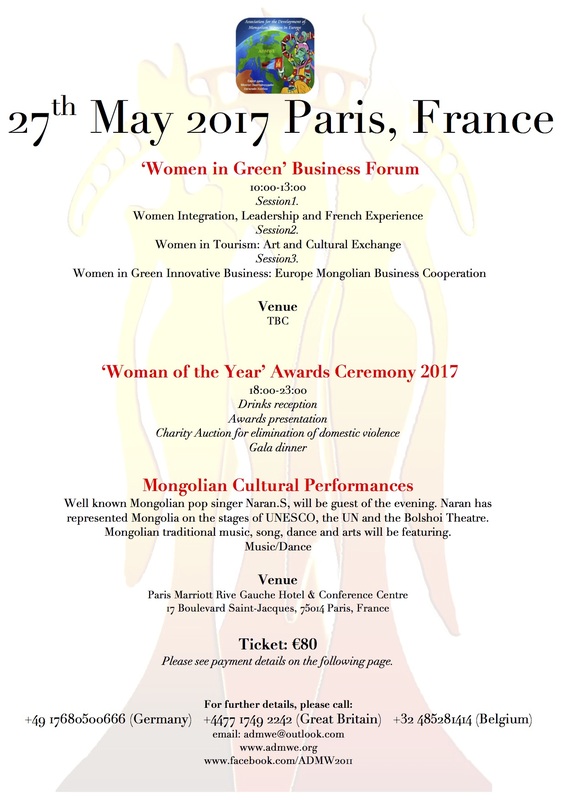 On 27th May 2017, to celebrate the occasion of Mongolia’s Mother’s and Children’s day, the ADMWE successfully organized the “Women in Green Business” international business forum as well as the “Woman of the Year 2017” awards ceremony in Paris, France. 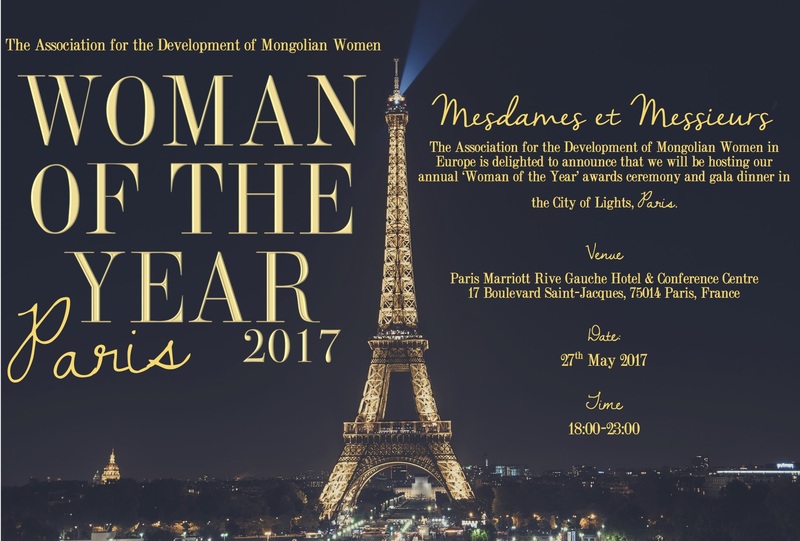 Hosting the 6th ‘Woman of the Year’ awards ceremony in the city of lights, Paris, this signature event for the association is aimed to promote and celebrate the success of Mongolian women across Europe, acknowledge their achievements and support their humanitarian work. Over 200 participants, from 12 countries spanning from Mongolia, France, U.K, Belgium, Germany, Poland, Luxembourg, USA, Austria, Denmark, Holland to New Zealand were amongst the attendees. 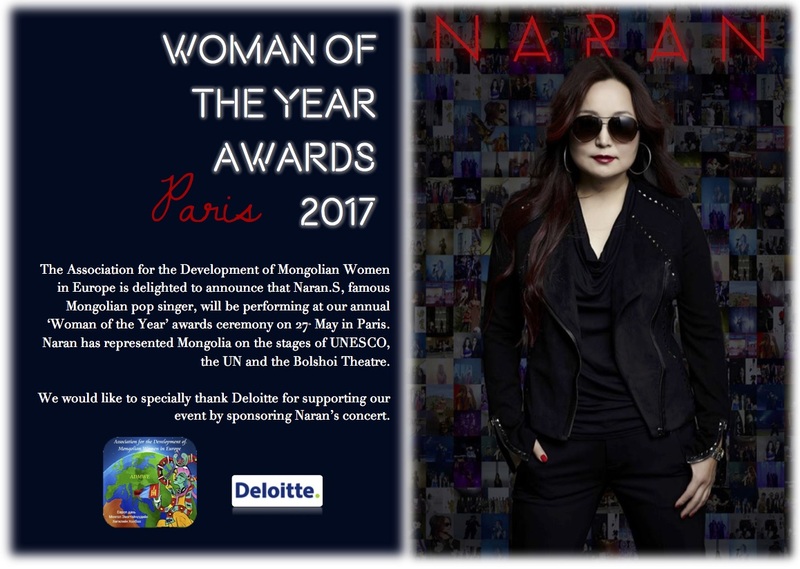 Strong and successful Mongolian women in Europe have most certainly played a key role in promoting Mongolia to the world by supporting the country’s tourism, culture and eco-friendly businesses, without any funding from the Mongolian government and its authorities. The key speaker of the first session ‘Women’s integration, Leadership, French Experience’ Mr. Zavie Bern General Secretary of the French Mongolian Parliamentary made an interesting and in depth presentation about French women’s position in their society and their participation in France’s development. Ms. Oyun Ishdorj, board member of CDU of Germany, Member of City Council of NRW shared her political experience, the issues and challenges facing foreign citizens and the importance of foreigners voicing their opinions to political leaders. Also Mr. Paul Van, honorary consul of Mongolia to Belgium, Mr. Steven Tricks, consultant at Clyde&Co legal firm from London, UK actively participated in the discussion. In the second session ‘Tourism, Culture and Art’, Ms. Battsetseg Batmunkh, Vice Minister of Foreign Affairs of Mongolia was the key speaker, presenting in depth information in regards to domestic violence law, study support, Mongolian government’s policies for Mongolians who live and work abroad. Ms Uyanga Sukhbaatar, Secretary General of the Mongolian National Commission for UNESCO spoke about opportunities within a wide range of topics such as world heritage, tangible and intangible cultural heritage and UNESCO’s cultural industry. 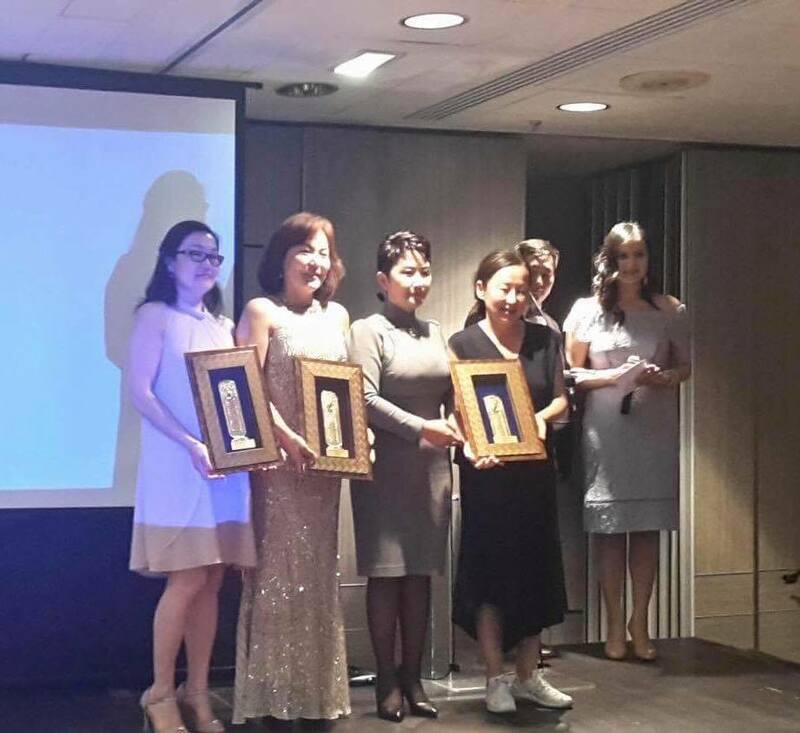 Ms Gerlee Tsegmid, Founder of Culture and Art Agency “Mongolian Step” in Frankfurt, Germany shared her experience on the importance and benefits of promoting Mongolia at world stage, requirements and necessities of organising Mongolian cultural and art events internationally on a high professional level. 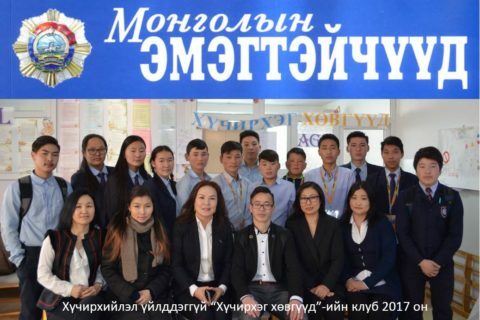 Ms Sarangerel Tseeleejav, Associate doctor of Mongol Studies, Founder & Leader of Steppe Mongols Association, Founder & Director of Sarangerel cashmere brand, Vice President of European Fashion Design Platform Society (France) presented her work experiences. 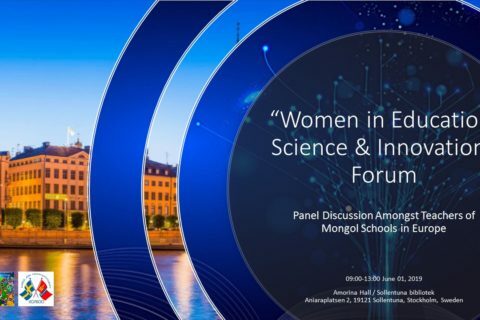 Ms. Robert Amoyan Mongolian scholar was the guest of honour at this conference. Her stories on how she started her studies, past and present research work were beyond interesting. She also shared some of the amazing photos taken in 1960 in Mongolia. During the Q&A session the most interesting and prevalent subject was on tourism where many of the attendees participated actively. H.E Mr Batsaikhan Mundagbaatar Ambassador of Mongolia to France emphasized the importance of differentiating tourism. Ms. Chuluuntsetseg.D, Head of the Society of Traditional Mongolian medicine in Poland introduced us to opportunities of health tourism abroad. 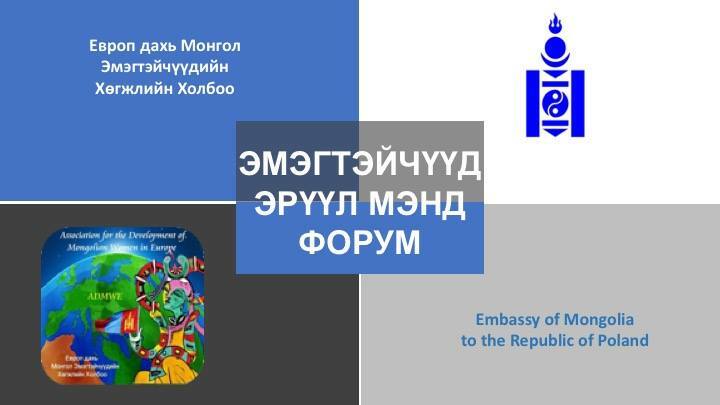 Mongolian and European business cooperation, Brown Rudnick LLP, started the first presentation of the final session on ‘Green development and Innovation’ followed by Ms. Azjargal Ulziitogtokh Deputy Director of EBRD in Mongolia, on promoting policies supporting businesswomen. Particularly companies such as, EBRD, are channelling their fundings to projects that are more eco-friendly, include advanced technology and support women and to offer financial product that suits their needs. Ms Nandintsetseg Finance Director of Mariott Group, France spoke on the implementation of green development within the Marriott group. Dr Zagdkhorol, guest researcher and professor of the University of Delgt, Netherlands discussed the opportunities of how modern technology can be connected to renewable energy and green innovation and it’s implementation. Moreover, H.E Ms. Battungalag. G Ambassador of Mongolia to Austria actively participated in the forum. Ms Enkhjargal President of ADMWE and Ms Solongo moderated the business forum. Ms Odontuya Adiyadorj Executive Director of the Association for the Development of Mongolian Women in Europe closed the session. After an insightful occasion in Paris, Dr Battsengel.R representative of ADMWE in Poland received the torch, to take over for next years event which will be held in Poland, where we hope that we will all meet again for 2018’s ‘Women and Health’ conference as well as 7th “Woman of the Year” awards ceremony. 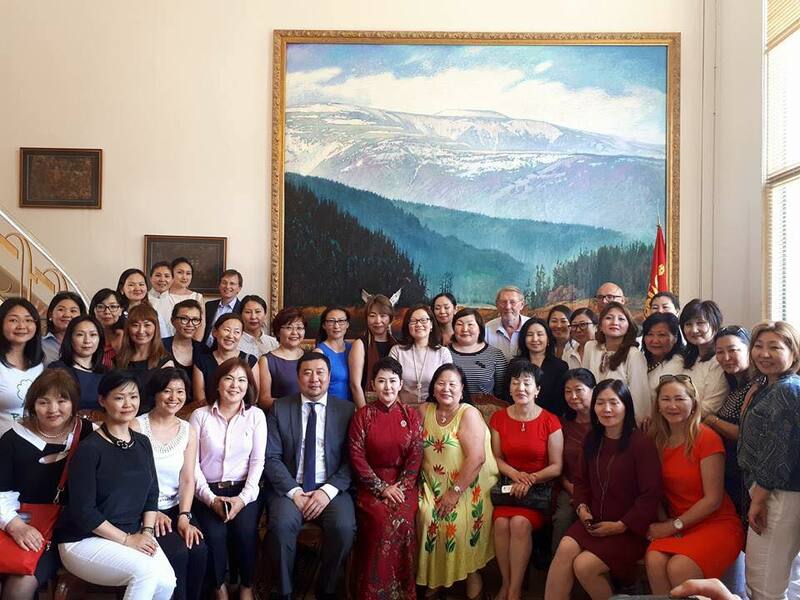 We have to emphasize the fact that this event is solely organized by Mongolian women who live and work abroad, voluntarily spending their invaluable time and heart to make this event a success. 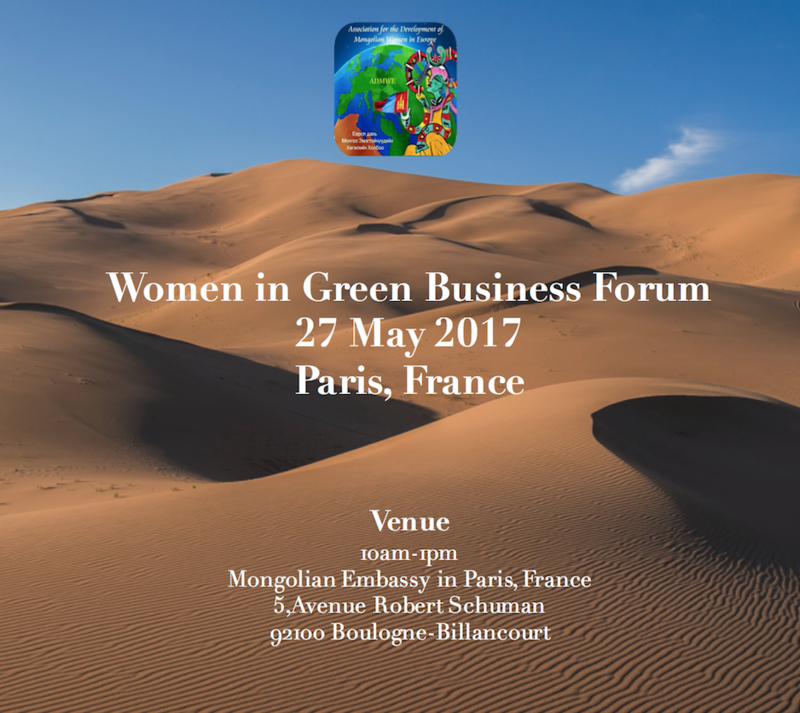 On behalf of all ADMWE members, I would like to express my deep gratitude to Mr. Batsaikhan Mundagbaatar Ambassador, Extraordinary and Plenipotentiary to France and his team for their invaluable assistance and sincere support for us, to successfully organise the “Women in Green Business” international business forum in Paris.